I strongly agree with Eduardo Galeano. How could I say goodbye to my hometown in Semarang in Central Java? I would never say goodbye to my lovely city of Semarang. This city offers so many historical and adventurous places. I would like to introduce you to a Muslim-friendly tour to Semarang. Trust me, these places are fun and you can learn about their endless history. So fasten your seat belt and let the journey begin! The first destination you need to visit upon arriving in Semarang is the Semarang Old City. This place will transport you back in time. Years ago, in the 19th-20th centuries, this area was the trade center and a place where the government officials are. In this area, there are around 50 old buildings carrying the European architectural style of the 1700s. During the Dutch colonialization, this area was built according to the agreement with the Mataram Kingdom. In the beginning, it seemed like it was just a fort, however, as time goes by, the city grew and the fort expanded rapidly. The settlement also grew, calling it the De Europeesche Buurt or just like how the locals call it - the Little Netherland. After Indonesia got its independence in 1945, the government began to take over all Dutch Offices and buildings. Some of these buildings are still operating and functioning until today. You can still visit Blenduk Church, Tawang Rain Station, Praoe Layar Cigarette Factory and many more. 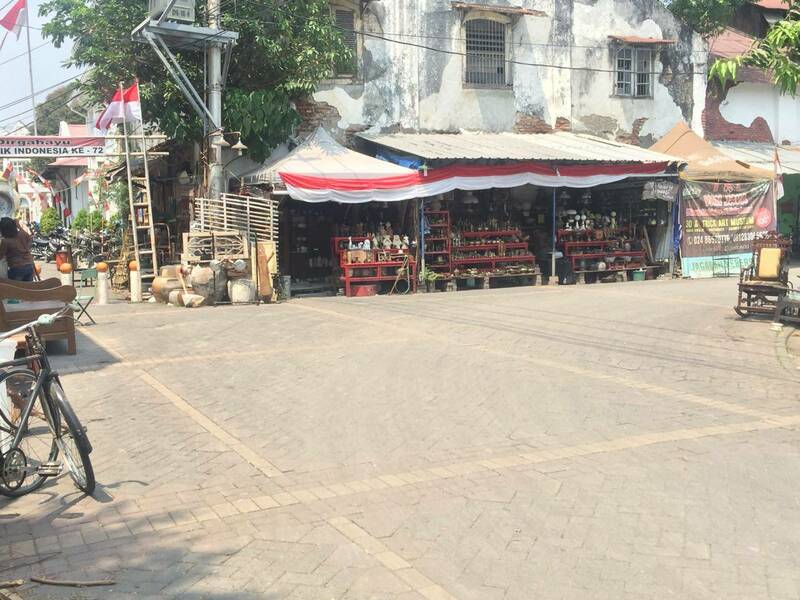 Semarang Old City is now a public space and a safe destination for you and your family. Lots of young couples put Little Netherland the main location for their pre-wedding photos. Good place for photo-hunting to bring the old vintage look to your Instagram, isn’t it? Address: Jalan Letjen Suprapto Number 22, Tanjung Emas, North Semarang. Located within the Semarang Old City area, the church was built in 1753. Everyone in Semarang may know about this church. However, locals might not be familiar with the complete name of this church, so if you are looking for this church, be sure to call it the ‘Blenduk Church’, then they will understand. It is also the oldest church in Central Java province. The original name was Nederlandsche Indische Kerk or Synod of Protestant Churches in Western Indonesia. At that time, the shape of the building was like Joglo, a traditional Javanese house, then it was renovated in 1787. A convex shaped dome (in Javanese called Mblenduk) and two towers were added to the church. Since then, locals would always call it the Blenduk church instead of calling its original name. Today, Christians are still using this place for praying and worshipping. Times where there are no masses going on, tourists are allowed to enter with an entrance fee of IDR 10,000. Let’s go to another Netherland historical village in Semarang! 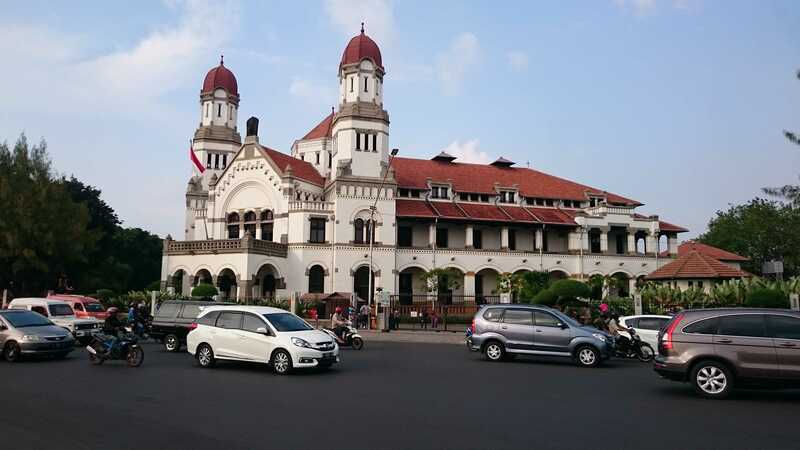 Move to the center of Semarang City, we will see the Lawang Sewu building. Lawang Sewu is a Javanese term which translates to 'thousand doors' as there are so many doors inside the building. In fact, the total amount of the doors is 928. Locals use the term ‘thousand doors’ in order to simplify the conversation. Years ago, Lawang Sewu was used as an Indonesian railway center, owned by the railway operator PT. Kereta Api Indonesia used this building as their headquarter. Today, the Lawang Sewu building has evolved into a train museum. There is an endless amount of knowledge that you can gain about the train history in Indonesia when you're at this museum. In the museum, you are able to witness locomotive miniatures including the carriages. This building is so unique and full of art. No wonder tourists and even the locals come to Lawang Sewu. The perfect location for a pre-wedding photo session is in the Main Hall area since it is surrounded with numerous glasses. 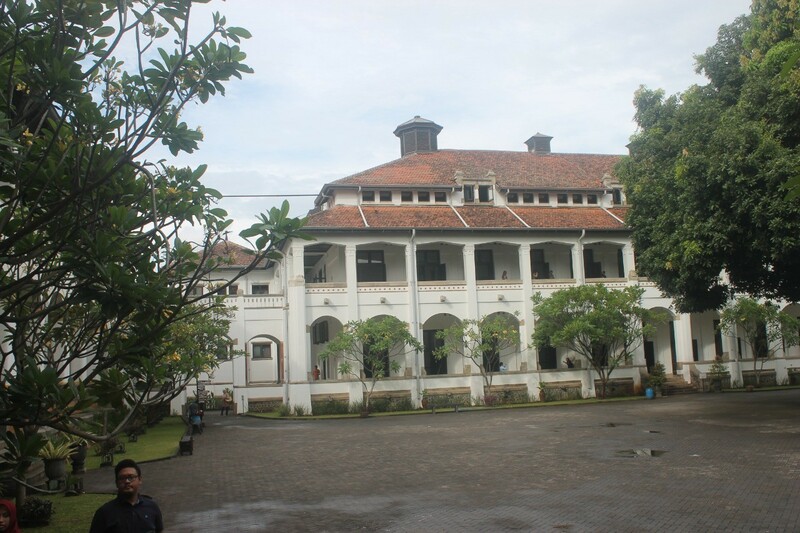 You can visit Lawang Sewu building on any day and the tentrance fee is pocket-friendly too. Address: Jalan Pemuda, Sekayu, Central Semarang. Ticket fare: Adult (IDR 10,000). We’ve done with Netherland’s heritage, now let’s move to the Asian part of Semarang. Yeap! You are right. We are going to the Sam Poo Kong temple. A historical site in the middle of the town. 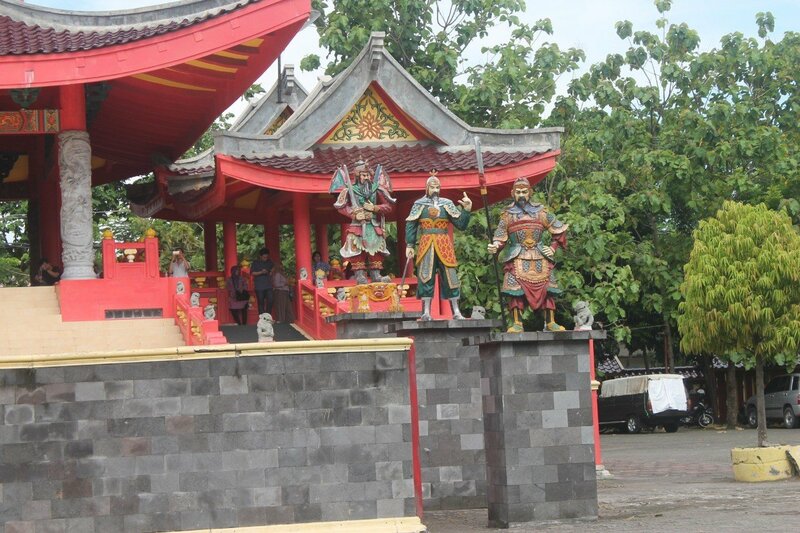 Sam Poo Kong temple was built to remember Admiral Cheng Ho when anchored in the North Coast of Java centuries ago. Red and yellow are dominant colors in the Sam Poo Kong Temple complex. Chinese people, particularly the people who hold onto the Buddhist religion, still use this temple until today. There are at least 4 temples inside the complex and they are the God of Earth Temple, the Quartermasters Temple, the Sam Po Tay Djien Temple, and the Kyai Jangkar Temple. Surely, there are many picturesque spots here. The temple management has even put up some signs to show you the best photo spots. In addition, you can rent Traditional Chinese costumes near the main entrance, and choose from adult to children size. Don't worry about the price, you only need to pay IDR 100,000 to rent the Chinese clothes during the opening hours. There is no time limit when it comes to renting the clothes. Psst... A suggestion from the management, please be quiet when entering the temple, may you find people praying inside. Address: Jalan Simongan Number 129, Bongsari, West Semarang. Ticket Fare: Normal day (Adult: IDR 5,000. Children: IDR 3,000). Weekend & Holiday (Adult: IDR 8,000. Children: IDR 5,000). Last but not least, let's not forget to pray in the Great Mosque of Central Java. 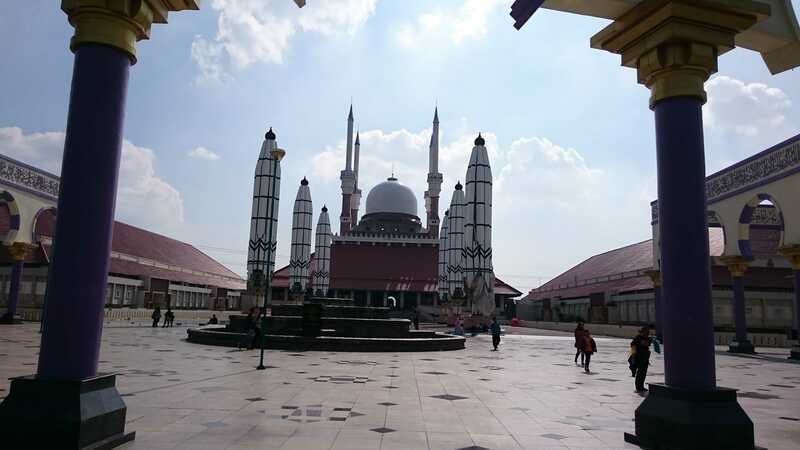 The Great Mosque of Central Java was a work in progress in 2001 and was finally opened by 2006. The mosque can accommodate around 15,000 jamaah. 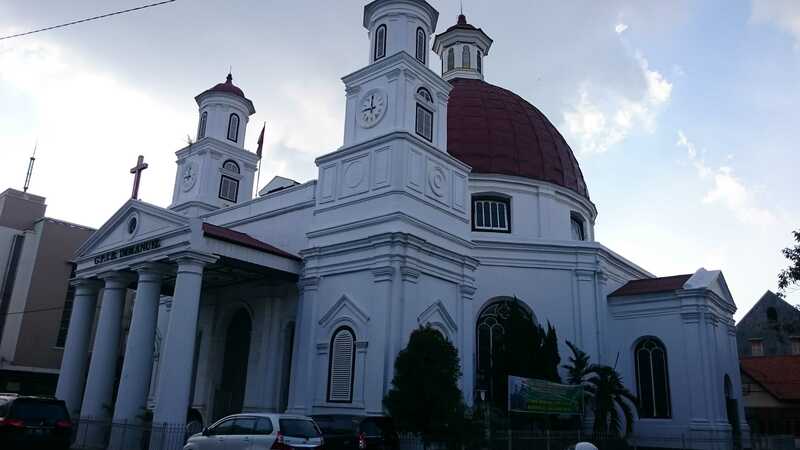 This mosque is not only dedicated for prayers but it is also one of the top religious attractions in Semarang. In the mosque area, you can visit the museum and library, providing you with the historical story of this religious spot. As you can see, the architecture of the Great Mosque of Central Java is a blend of local and Arabic culture. There are six giant hydraulic umbrellas just like the Nabawi Mosque in Medina. The giant umbrella will open up during Friday Prayers, Eid al-Fitr or Eid al-Adha as long as the wind does not go over 200 knots. Wanna try to challenge yourself a bit more? You can come inside to Asmaul Husna with 99 meters height. From this place, you'll see the entire Semarang city and also the coastal using some binoculars. Another best spot in the complex is the giant Koran and the giant drum. Address: Jalan Gajah Raya, Sambirejo, Gayamsari, East Semarang. One day is not enough for traveling in Semarang as the best historical destination spot in Indonesia. There are still so many Halal destinations in this town. I promise I will share them on HalalTrip App! Freelance journalist. Currently aggregating economic news for analytical news service dedicated to competition law and regulatory developments around the world. Former reporter of tvOne (Indonesian television news channel) and NHK (Japan Broadcasting Corporation).